SEAMOR Marine Ltd. has been in operation since 2006 following the acquisition of the original ROV SEAMOR brand and associated technologies. The Canadian company’s sole focus is on the continuing development, manufacturing, marketing, sales and servicing of SEAMOR Observation Class, Remotely Operated Vehicles (OCROV), along with related technologies, systems, and ancillary devices. Currently the company employs a staff of 15 and operates from a new (2012) facility located in Nanaimo, BC. In addition to accommodating administrative, marketing/sales, engineering, assembly, testing, and shipping/receiving functions, the facility also houses an R&D machine shop. 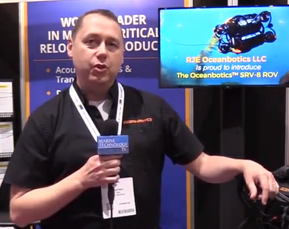 SEAMOR Marine Ltd. distributes SEAMOR ROV’s directly in Canada and enlists the services of its growing international dealer network to facilitate the sale of products on a global scale. Custom system sales and customer service are dealt with directly through the company’s head office. The firm also offers standard and customizable client training packages for repair and maintenance of their products. SEAMOR ROV systems are designed with the end-user in mind. The modular, open-frame layout allows for ease of access into the ‘guts’ of the vehicle and aids in the integration of 3rd party tools and sensors. The result is the ability to easily assemble a customized underwater system. In addition to customer specified systems, the company currently offers 7 standard ROV SEAMOR versions; 3 with “twisted pair” tether, 3 with “fiber-optic” tether and 1 with combined “twisted pairs”/“fiber-optic” tether. The 300F-1080p-HD model incorporates a High Definition primary video camera. All standard systems are depth rated to 1000ft/300m and feature 150w thrusters (4 or 6 – model dependent),1800 tilting camera and lights, auto depth, auto heading, and include a 19” monitor, intuitive control system, tether cable, manual tether winch c/w slip-ring, spares and tool kit. A recent addition to the company’s portfolio is the SEAMOR 7F-H-ARM, a 7 function, hydraulic, articulated, remotely operated manipulator. This exciting new system has been specifically designed for Observation Class vehicles and can be retrofitted to most similar ROV systems. A wide range of proprietary and 3rd party options including: grippers, lights, cameras, laser scalers, wireless control pendants, and sonar systems, are available with SEAMOR systems. The SEAMOR R&D team continues to focus on the advancement of subs-sea technologies through the development of new and innovative ROV related systems and devices.